When a woman thinks she’s pregnant, over-the-counter pregnancy tests are usually the first step to determining the truth of the matter. Planned Parenthood suggests that women wait until AFTER their first missed period to take the test, otherwise the results may not be accurate. Because of the hope (or panic) that can come with the idea of pregnancy, sometimes people don’t want to wait that long for results (like this father who tested his wife’s pee behind her back when she didn’t flush the toilet). And when they get their home pregnancy test early, and the little pink line on the test isn’t clear enough for them to tell if they’re pregnant or not—people resort to using image enhancement programs to see if the line becomes clearer, according to Mashable. There are several problems with this method of pregnancy testing. Last time we checked, Photoshop was a photo-editing program, not a gynecologist. A lot of assumptions can be made and false hope can be harvested from using color contrast to let you know your pregnancy status. No matter how tempting it may be to seek out early results, it’s best to wait until after you miss your first period to take a pregnancy test. The computer is smart, but not that smart. See a professional who can do proper testing to let you know whether or not you’re actually pregnant. 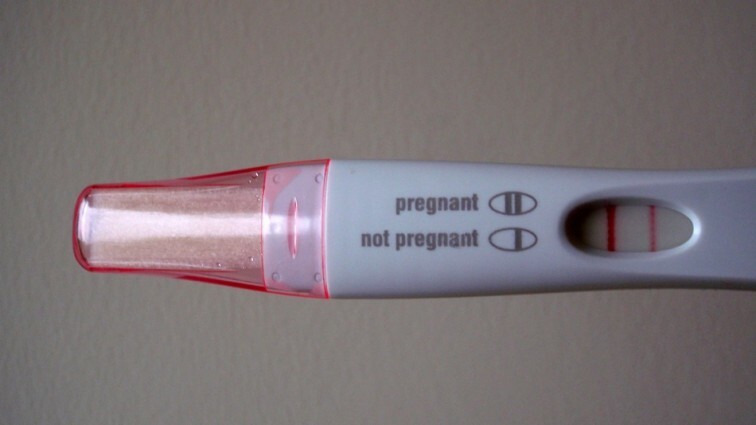 What do you think of this Photoshop method of pregnancy testing?